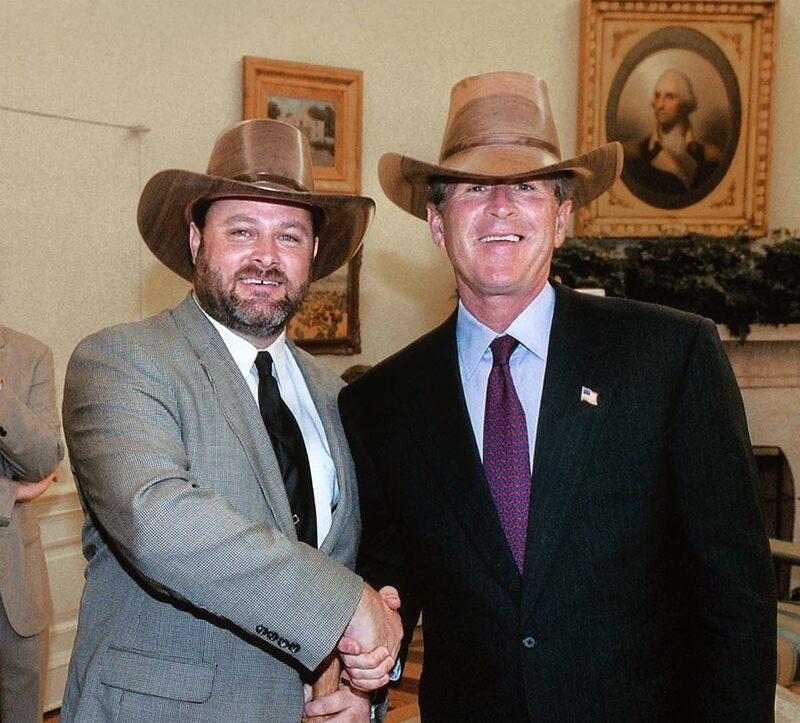 One is at the White House. 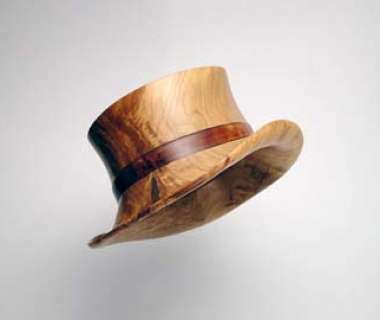 One is in the Presidential Library. 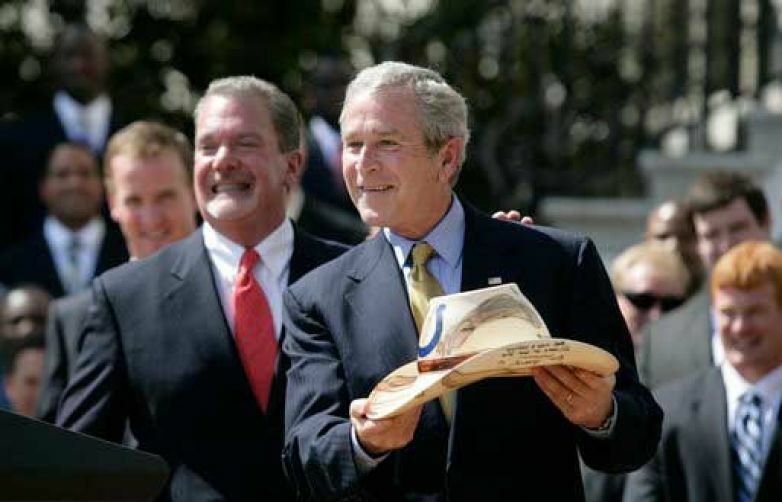 One is owned by the first President Bush and two are at the ranch in Crawford, Texas. 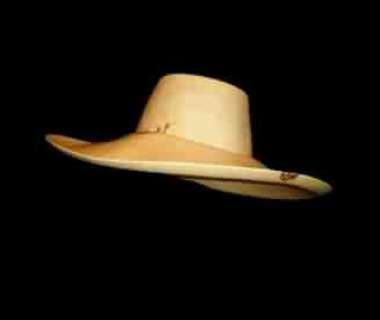 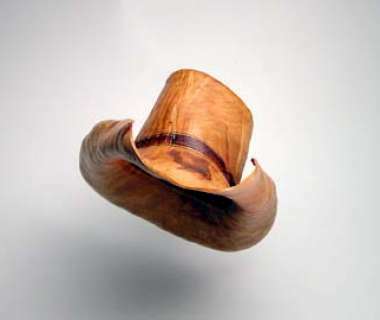 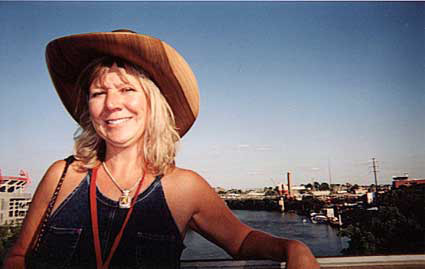 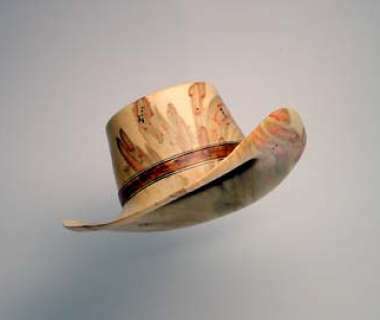 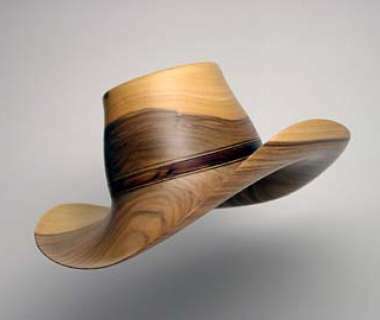 They add up to five and they are all custom wooden cowboy hats made by Chris for President George W. Bush. 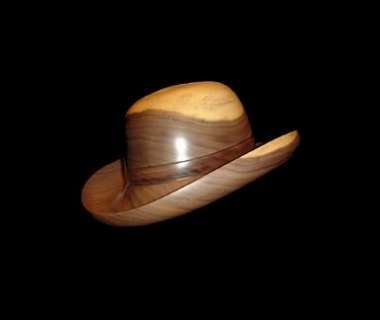 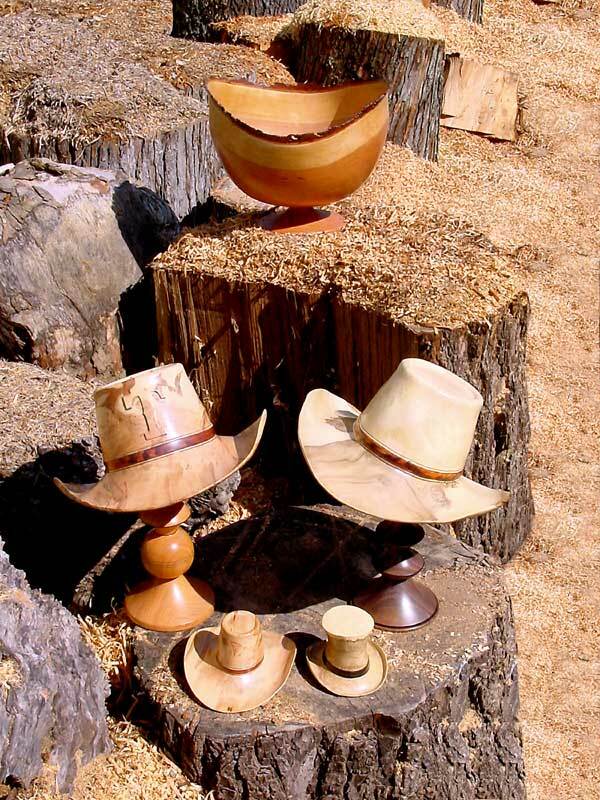 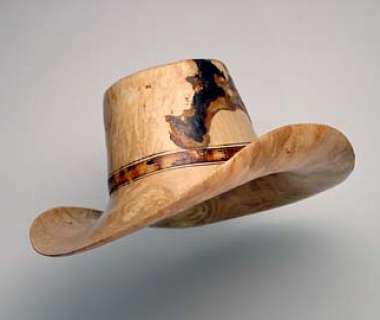 One of the hats was turned out of wormy maple from a tree cut in Pulaski County, Kentucky, and another from a burl out of a black gum tree from Casey County, Kentucky. 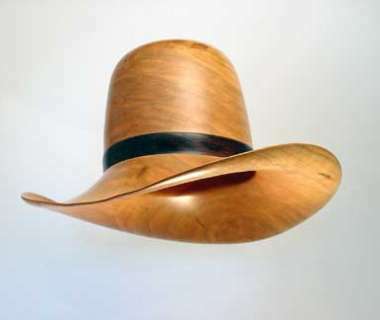 He carved the "T" logo of the Texas Rangers, which Bush once owned, on the front of the maple hat. 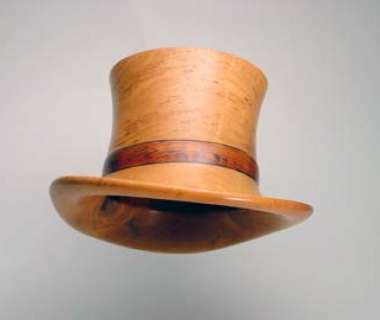 He also made two miniature hats from the inside of the larger ones, as well as a cherry pedestal bowl, 16" w x 13" h, for First Lady Laura Bush.